A truly verdant island surrounded by the emerald waters of the Ionian Sea, Kefalonia is the island of mysteries and peculiarities. Here the sea water disappears under Argostoli, the capital of the island, in the so called Katavothres and ends up in the mystical cave of Melissani with the turquoise reflections of the lake on the walls of the cave. The legend has it that harmless snakes go to the church of Virgin Mary in Markopoulo on 15th August every year and that Agios Gerasimos, the patron saint of the island, sometimes has sea weed on his feet because he visits the neighbouring islands. It is true though that on the island of Kefalonia there are goats with golden teeth, loggerhead turtles greet the tourists in the lagoon of Koutavos in Argostoli and Mount Aenos is black instead of green! 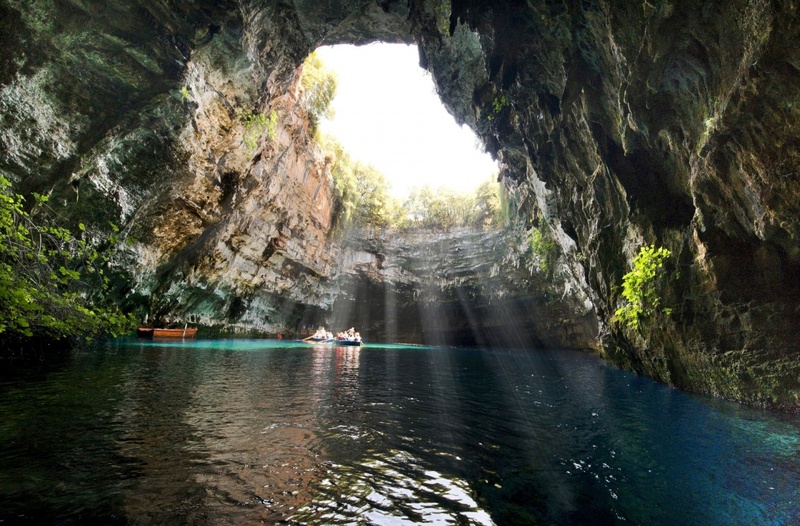 The existence of these seemingly strange events is actually proof of how rich is the nature in Kefalonia. The ground is rich in minerals, that’s why the goats’ teeth have a golden shade. The rare loggerhead turtles choose many of the beaches here to lay their eggs, so it is quite common to see protected nests on some of them. In Koutavos lagoon, there is one turtle that is particularly acquainted with people and sometimes pops his head out of the water while there are people around. The unique black fir which is indigenous of Kefalonia grows on Mount Aenos and gives the black colour to the top of the mountain. Wild horses live in the slopes of it and rare monk seals in the sea caves of the island. 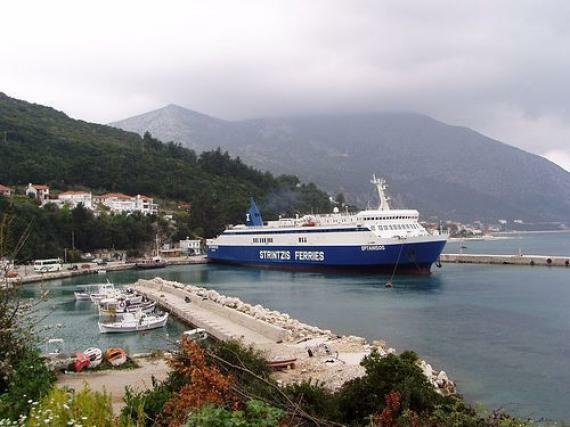 Do you need more to get excited about Kefalonia and return for your holidays year after year? The island has a long history starting from the prehistoric age. It flourished in the Classical period and experienced several rulers because of its strategic location. Ruins of powerful ancient cities are found in many sites around the island; impressive Mycenaean tombs strengthen the theory that the notorious king of Ithaca, Odysseus, was buried in Kefalonia, whereas several ancient treasures are on display in the Archaeological Museum of Argostoli. Castles and monasteries with great view, such as the castle of Agios Georgios and the convent of Kipouraioi are the remains of the Byzantine and Venetian era. Korgialeneios Library in Argostoli and Iakovateios Library in Lixouri with their rare collections of books, as well as the philharmonic orchestras of the two cities show the tendency of the locals towards culture, music and arts. Religion and culture are combined in most of the festivals that are organised on the island, particularly in those celebrating the nameday of Agios Gerasimos and the Dormition of Virgin Mary. Even though the island suffered a devastating earthquake in 1953 which destroyed it almost entirely, it has been reborn from its ashes and become a tourist attraction both for Greeks and for people from all over the world, without losing its original character. Most of the beaches are unspoilt, offering enchanting sceneries and serene atmosphere. 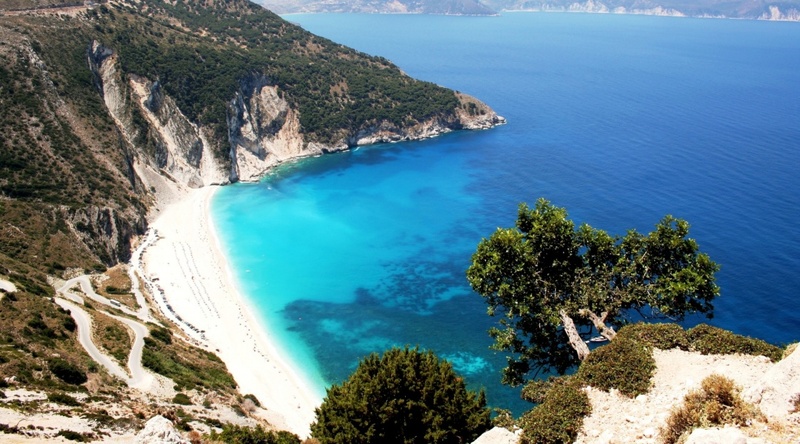 The trademark of Kefalonia is Myrtos beach, but there are several other beaches standing out, such as Antisamos beach in Sami, where the film Captain Corelli’s Mandolin was filmed, Xi beach in Lixouri, where the reddish sand works as a natural spa with clay and the busy beaches of Skala and Platis Gialos-Makris Gialos for those of you who like sun loungers and other beach facilities. 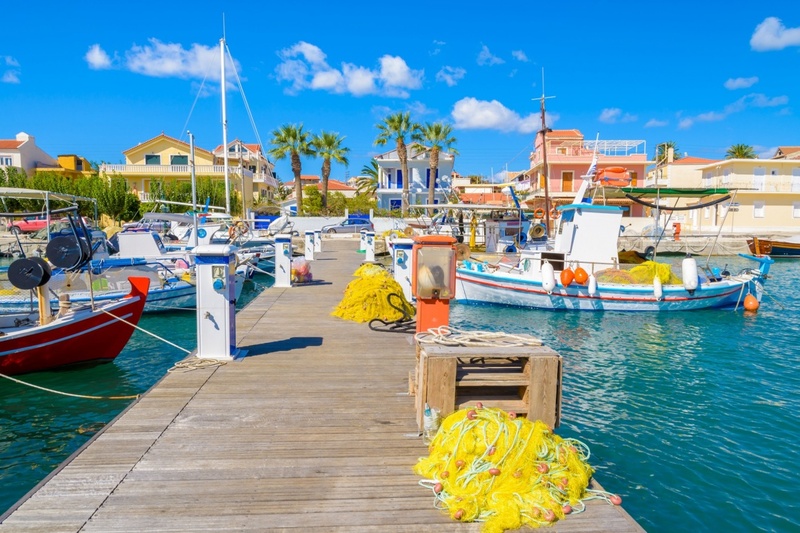 Needless to say that accommodation is not a problem on Kefalonia, as there are all sorts of hotels, villas, studios and rooms to let either in the capital of the island and the tourist resorts of Lassi and Skala or in the picturesque towns like Sami and Lixouri. Nightlife might be very limited to non-existent in some places, but Argostoli, where dancing until the early hours is guaranteed, is very easy to access from most of the places on the island. However, Kefalonia is the island where you can escape the modern city life and have the most amazing holidays in the nature and by the sea. Therefore, all you need for your entertainment is to have a delicious meal in one of the Greek “tavernas” usually found on the waterfront and a drink in one of the local bars. To add some Kefalonian flavour to your experience, taste traditional local dishes such as Kefalonian meat pies, aliada and pastitsada. 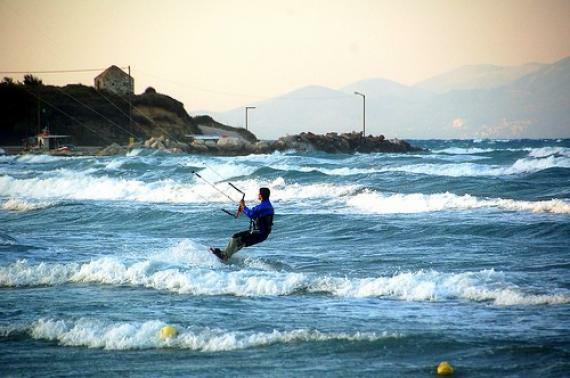 Kefalonia is not just the island of peculiarities. It is a place where modern life matches well with traditions and laid-back Mediterranean customs. Whoever comes to Kefalonia wishes they could stay forever! This accounts for the reason why Kefalonia is usually voted as one of the best islands in Greece in many polls and sometimes gets the second place after Santorini, after competing with Crete, Paros, Ios, Skiathos, Mykonos, Zakynthos, Rodos, Lefkada, Naxos and other beautiful Greek islands. Visit the Kefalonian paradise to see if it actually deserves the first place in the polls. It will certainly get it in your heart! Find information about selected Hotels, apartments and rooms in Kefalonia and 5 star hotels in Kefalonia to choose the perfect place for your accommodation.